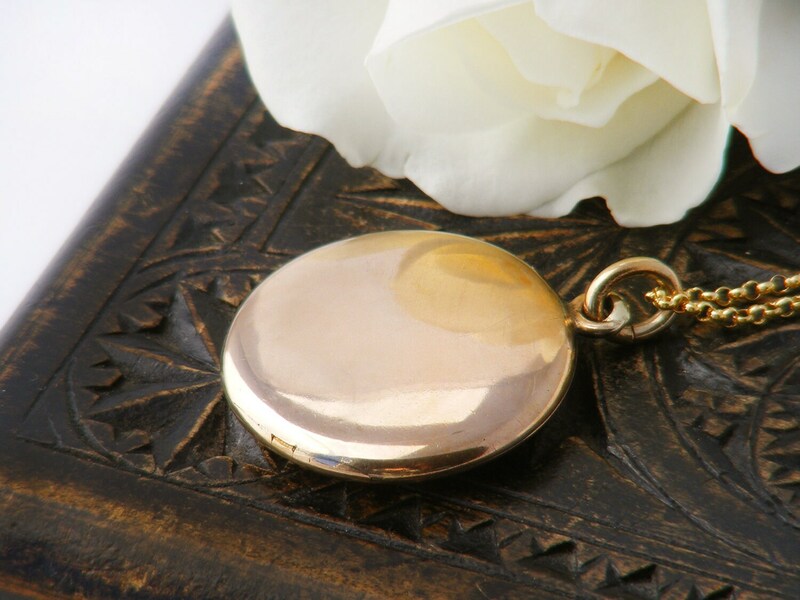 A Victorian era antique locket with with a softly polished gold shell - classically beautiful and very elegant. 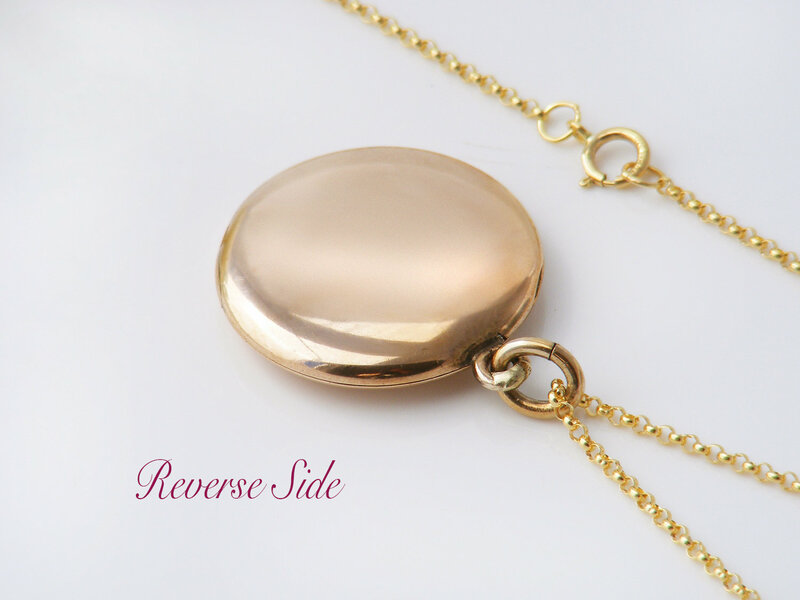 Polished gold fill on the outside and matte finish on the inside, yellow gold with the lovely rosy tint of old gold. The inside has both original photo rims in place. The locket hinges at the bottom edge with a beautifully engineered and barely visible integral hinge. 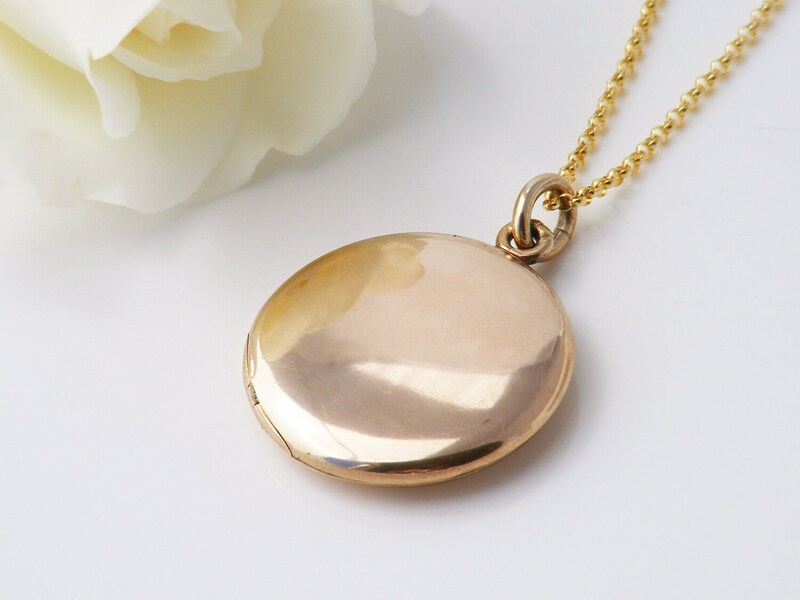 Locket Size: 1 inch or 25mm diameter, with a slim profile of approximately 4.5mm. 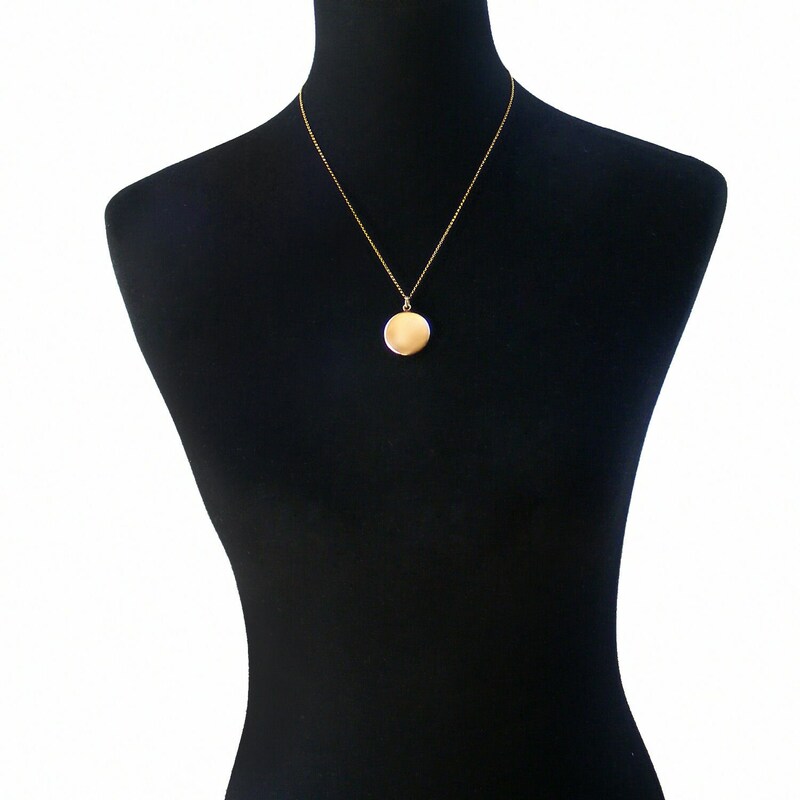 Presented on a new 20 inch or 51cm chain in 14ct gold fill, stamped to the clasp. Photograph #2 shows the locket and chain on a life size torso. Weight: 6 grams without the chain. Condition: Very, very good. 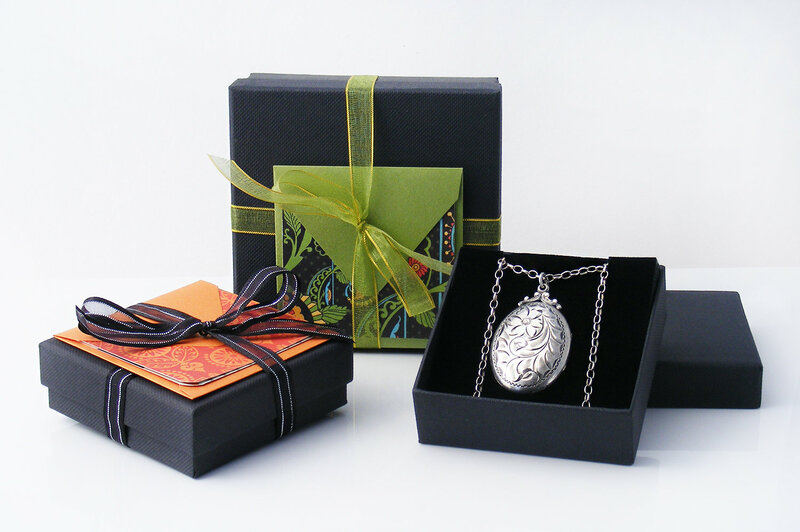 The locket covers have only mild surface wear, the inside appears to be unused. Please note that any dark or blue patches on the covers are reflections, not marks. 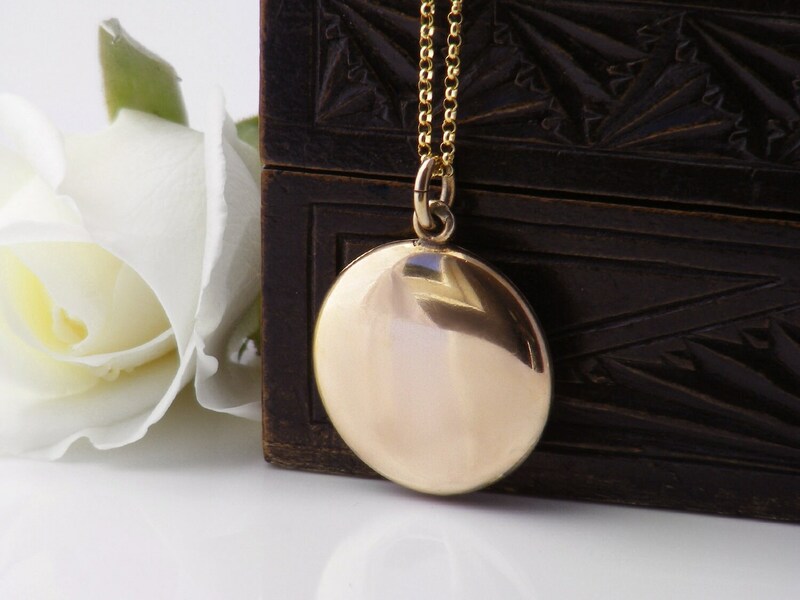 The locket closes well with a nice click, the beautiful integral hinge is excellent. 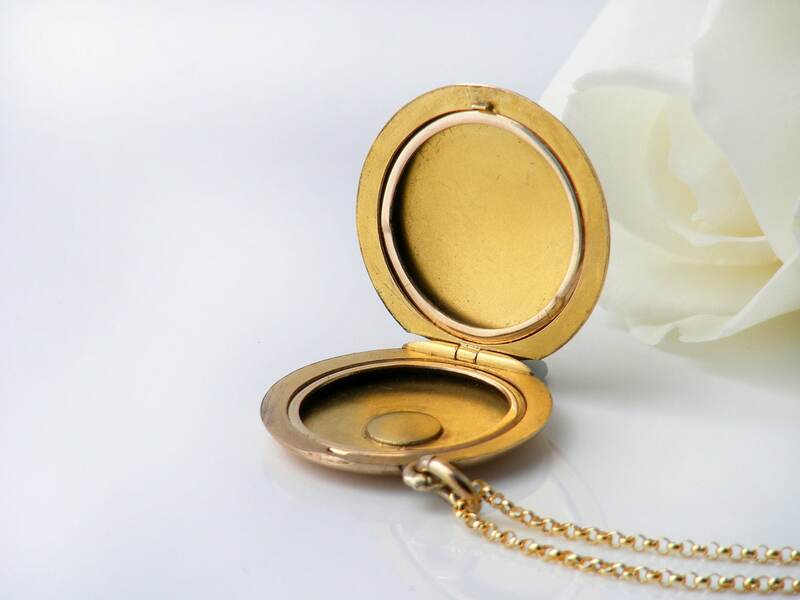 Smooth and lovely to handle with superb color to the polished gold, this Victorian locket is simple and lovely.